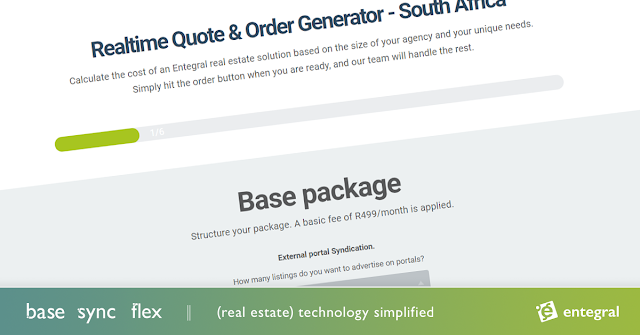 Entegral offers a unique set of products for estate agencies, that are designed with pricing structures that scale with the size of your agency. These products can be used in combination for a complete solution, or used individually. It is perfectly suited for existing agencies, new startups or national franchise groups. Base: A mobile friendly listing, contacts and document management. Sync: Listing syndication to more local portals than any other service providers. 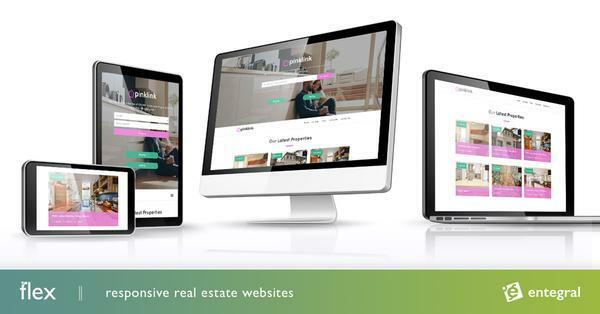 Flex: Responsive real estate websites. To calculate your once-off setup and monthly hosting fees simply use our realtime quote generator: http://www.entegral.net/order. (Have a look at the cost savings when you opt for debit order or 12 month upfront payments). If you order a website, a setup fee of 50% is payable upfront, with the rest due on launch. We don't tie you into any 24 month contract and we offer a full refund if you are not happy with the end result. Entegral is an accredited domain registrar, so your domains are listed in your name, while we manage all the technical bits and even offer massive 25GB mailboxes. For agencies wanting to get a highly customized look and feel, we can customize the complete website (and not just the home page) using our new Flex Template Language platform. Entegral clients further benefit from direct integration into our new MyProperty South Africa and leading MyProperty Namibia portals.